Late last week, US Airways announced it has hired a new chief operating officer, Robert Isom. Formerly the senior vice president of ground operations and airport customer service at Northwest, and before that, a senior executive at America West, Isom has 15 years of industry experience. Effective immediately, the COO “will head up the airline’s operations, including flight operations, in-flight services, maintenance and engineering, airport customer service, reservations, cargo and the Express operation,” according to US Airways’ press release, taking over responsibilities of airline president Scott Kirby. 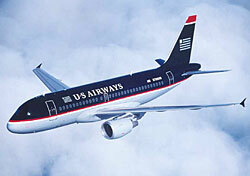 Additionally, US Airways has hired a vice president to focus on customer service planning. Kerry Hester will “coordinate the overall customer travel experience—from the initial reservation, to check-in at the airport and onto the plane, all the way to what happens in irregular operations situations,” reports the airline’s press release. US Airways is taking the right steps in improving the customer experience, though it still has major battles to fight, including tense disputes among its pilots.